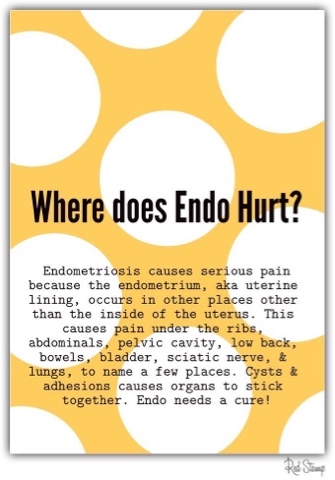 If you have been following my blogs, you’ll be aware that I have been suffering with endometriosis for quite a few years. One of the first blogs that I wrote is attached here, if you would like to read from the beginning of my story. 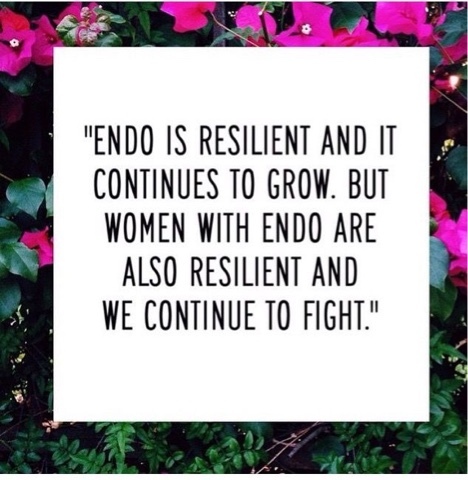 There are so many misconceptions about endometriosis, there is a distinct lack of knowledge – even amongst gynaecologists and also a lack of understanding about the condition. Personally, on a day to day basis, I did not talk about the constant pain, the severe tiredness (close work colleagues will giggle at this as I would sometimes moan that “I am so tired I might die”) – but really, I did feel so tired that I felt like I could die. My body had become used to surviving on very little sleep, battling very frequent pain and feeling constant lethargy. After having 2 laparoscopies in Ireland and not getting much relief, I knew that it was time to do my own investigating as I was tired of being tired. I was tired of being sick. I was tired of my immune system being so weak. I was tired of pain. After about 12-18 months of research, I finally found the surgeon who would go to perform major surgery on me on January 5th 2019 in the Princess Grace Hospital in London. His name is Peter Barton-Smith, a highly skilled consultant gynaecologist who specialises in the area of endometriosis and fibroids. The idea of going to London for potentially major surgery was incredibly daunting to me. However, the idea of living in constant pain resulting in crippling tiredness was honestly far more daunting. I was existing – I had no energy left to live. And I certainly hadn’t the energy of a girl in their 30’s. I know that many people are not fortunate to have health insurance however, it is the first purchase that I was advised to take out by my parents. When I got my first job, they told me that health insurance was a priority and I am glad this was instilled in me from a young age. I work hard and honestly, I would sacrifice all luxuries and discretionary spending to ensure that I had my health insurance. Just to dispel any myths – health insurance is not about ‘having a private bed in a private hospital’ but rather it gives a patient the ability to decide who their consultant will be. That is the greatest luxury of all. I was able to conduct informed research and then decide who the best surgeon would be to give me the best possible outcome. I did not care what hospital I would be going to (**the fact it was like a Four Seasons Hotel was a bonus**) but honestly, that was the last concern of mine. I wanted an expert and I wanted to feel safe. And without health insurance, unfortunately, I would not have been able to choose the doctor that I wanted to see. And on that note, as a customer of Laya Healthcare for the past 18 years – they live up to their name “Looking After You Always”. They could not have been more helpful or supportive to me. I do want to note, that the State has the facility to provide “Cross Border Care” for patients that do not have health insurance. However, with both private and public patients, health care for EU citizens in the UK may be at risk until we know the real outcome of Brexit on March 29th. This was a real concern of mine and a deciding factor in having my surgery well in advance of that date to avoid any potential risks. Once I had completed my research, I emailed Mr Peter Barton-Smith to arrange an appointment. I was fascinated that he emailed me back directly himself as generally I would have gone through a secretary and only had contact with a consultant during the scheduled appointment. However, he emailed me back and asked for a synopsis of my medical history with specific emphasis on my endometriosis and fibroids. After a few emails, he agreed that it would be advisable to come for a consultation to London. I made my appointment to go to the Endometriosis Clinic for September 2018. The appointment was a 2-part appointment. I first went to see a consultant by the name of Dr Davor Jurkovic in the Gynaecology Ultrasound Centre on Harley Street. This appointment was for a scan which took about an hour to complete. The machine that he uses is incredibly high-tech and I was advised that there are only a few machines like this in the world. The machine was able to detect endometriosis which is normally only visible via laparoscopy. After he completed the scan, he emailed me a full copy of the report and also a copy to Mr Peter Barton-Smith. The detail contained within the scan was incredibly comprehensive and far more detailed that I had ever received in Ireland. I then went for my consultation with the Consultant Gynaecologist in the Princess Grace Hospital which took approximately 1-hour. At the consultation, Peter went through my history in detail and then went through the scan in detail. Basically, he advised that I had 10 fibroids, 2 of which were quite large and causing the most issues and causing the uterus to be enlarged, severe pelvic endometriosis, endometriosis on the bowel and recto-vaginal space amongst other issues in the pelvic area. The appointment was exhausting and I certainly had a lot to take in, but he wrote everything down and advised me to go and have some time to process what I had been told and to revert with questions. He made me aware that the surgery would be major and that needed to be processed as time would be needed to prepare – not just on an emotional level but on a practical level also. Even though, I was very nervous about the prospect of the surgery, I did not have a doubt in my mind that I was with an expert in the field. And not only that, he has compassion, empathy, is affable and is a true professional. In essence, when you choose a surgeon and anaesthetist – you are literally handing over your life to them. Without verbalising it, you do say ‘I trust you with my life for the next few hours, and I trust that you will look after me’. After I had sought a few second and third opinions in Ireland from not only my amazingly supportive GP but from other medics, they too agreed that based on the report, his experience and proposed surgery, that I was making the right decision. After I had decided to proceed with surgery, I called Laya Healthcare to ask how best to proceed. I emailed them a letter from my GP, a letter from Peter Barton-Smith with the proposed surgery. Basically, they need to assess that the surgery is necessary — and also, that it is not available here. 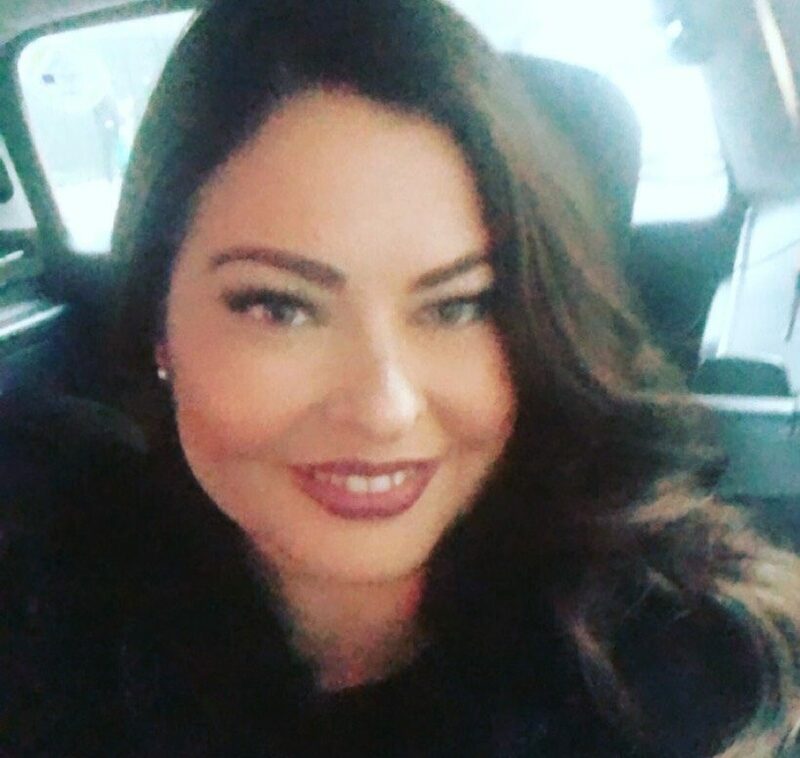 Laya reverted with full approval and also agreed to pay 50% of the initial consultation and scan as my surgery had been approved (the cost of both appointments were approximately €800 excluding flights, travel etc). They approved full 100% cover for the hospital stay at the Princess Grace, full surgery with Peter Barton Smith and full cover for the anaesthetist. Every single operation is valued at a different cost as there are so many variables such as the duration of surgery, the number of procedures to be completed along with other factors but Peter outlined that there would be 3 operations completed in the one day over a 6 hour period in theatre and the guideline cost was €18,000-€20,000. After years of pain, I finally felt like I had found the relief that I needed. And bearing in mind, there is no cure for endometriosis, I felt that I was embarking on a path that could be life changing. I was filled with fear but I had hope for the future. I was so scared but I was equally excited. I was excited for my future. A future of less pain.